This is a new spring green for us, one that is ready to eat right now. "Wildman" Steve Brill had asked if we were finding hairy bittercress (Cardamine hirsuta) in our area yet, but we had never looked for it before. I browsed through a few books to look for it with no success, but it was listed on his app "Wild Edibles", available in the android Marketplace. 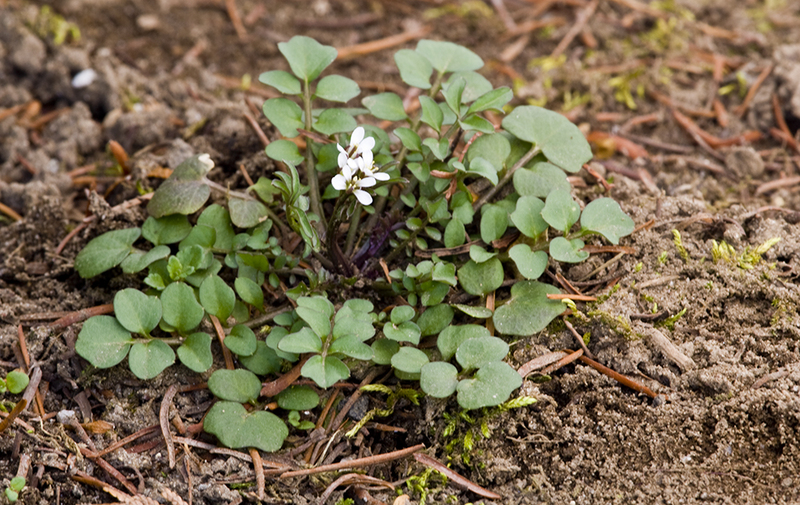 Hairy bittercress is known by other common names like pepperweed, snapweed, and land cress. It is in the mustard family, and has the same peppery, bitter flavor as other mustards. It is best to gather the greens very early in the spring, or in the late fall when the leaves are tender. The many leaf stalks grow from a basal rosette, can reach about 4" long, and are sparsely hairy. Each leaf stalk has 5-9 paired leaflets, and the largest unpaired leaflet is at the tip of the stalk. From the center of the basal rosette, flower stalks will grow up to 10" tall, with several more leaf stalks growing from the main stem. 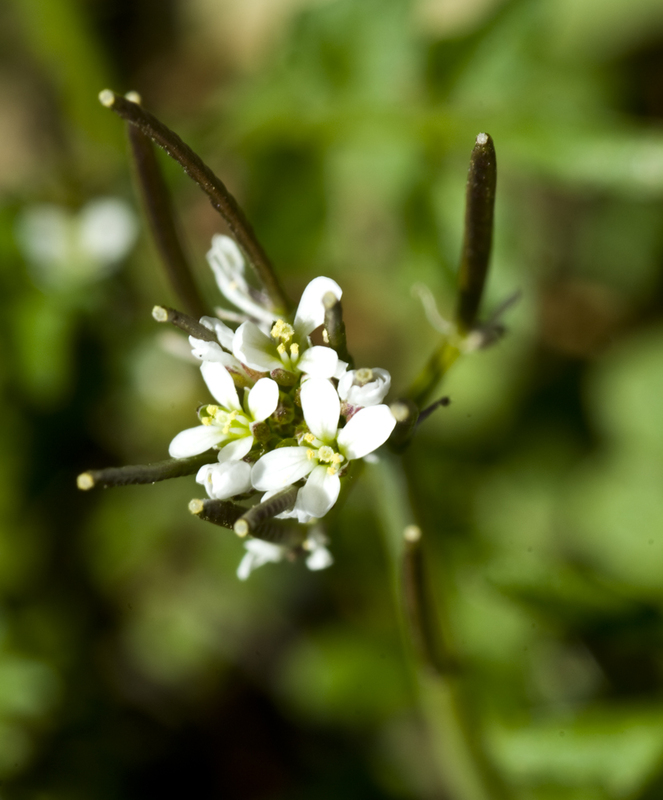 The flowers are very small, white, and have 4 petals, and will bloom while the seed capsules are forming. The seed capsules are small, about 1/2"-1" long, and olive green. When the seed capsules are mature, they can explode and spread the tiny seeds far from the parent plant. While the flowers and flower stalks are edible, they may seem a bit tough compared to the more tender leaf stalks and leaflets. 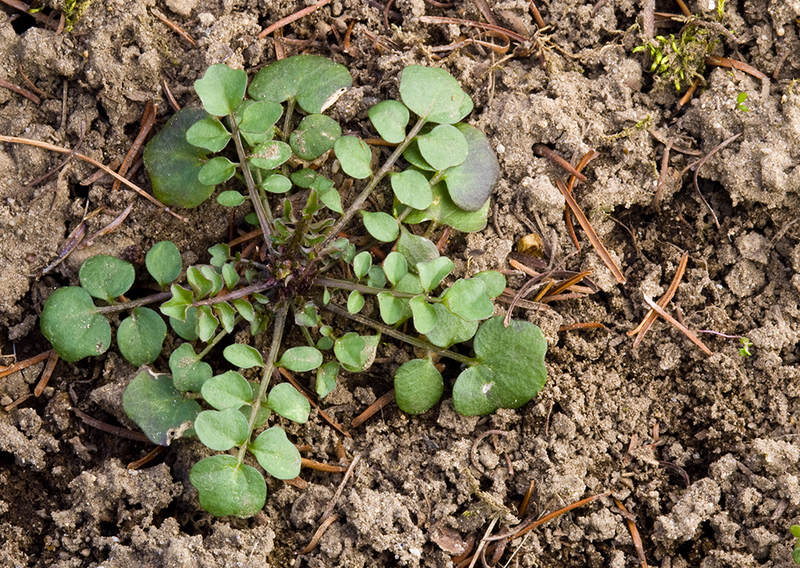 Hairy bittercress may be considered an invasive lawn weed, as it will form dense mats of rosettes over an area. It likes to grow in disturbed soil, in a sunny area that may be a bit wet. A great place to find it is invading greenhouses and newly potted plants and gardens. We found some growing next to buildings, where a micro-climate is produced by the building insulating the soil and rainwater is dropped from the roof. Hairy bittercress is originally from Europe and Asia, but now widely spread throughout North America.. Excellent description, photos, and video—just what I've come to expect from your site. And thanks for including me! I forgot to mention that in addition to the Android Marketplace, http://tinyurl.com/7hm4dfk, my app is also available in the iTunes Store http://tinyurl.com/6zcnuna. Another for the invasivore plate! thanks for the tip, I'll keep my eye out this week. 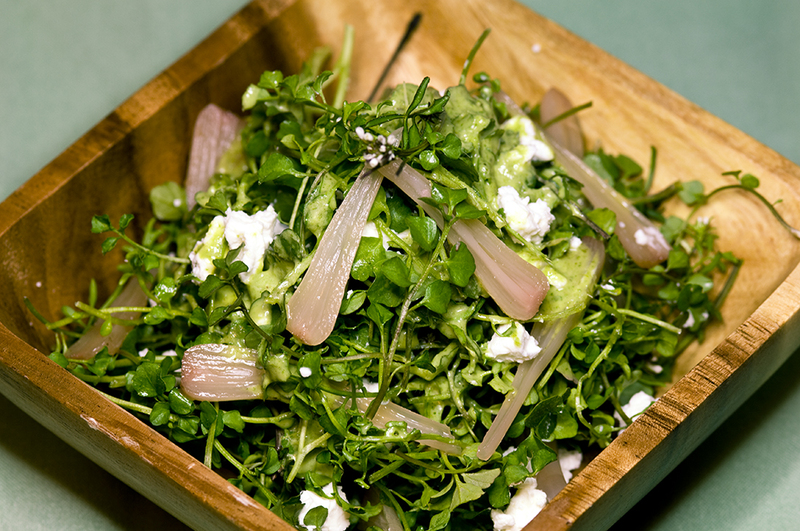 Great post, I have so much of it in my garden, making a salad today with wild leek! Thanks Steve, for the links to the apps. I can't seem to figure out how to get them off your website. Invasive edible weeds do seem to have extra special taste! Goodbye evil "pop weed"! Great to know it's got more going for it than requiring me to weed frantically before the seeds pop. super in sandwiches with tomatoes !! I remember as a child I would always like to go into the backyard, go to a really big patch of these, and I would always have so much fun poking them and watching them explode. I call them poppers, but sadly I can't find many of these fun little weeds in the backyard anymore.